Broadcasters turn to cutting-edge distributed delivery solution Streamroot DNA™ to scale to online audiences as major international sporting events go over-the-top. World Cup 2018 broke all streaming records, as broadcasters around the globe faced unprecedented demand on digital platforms. The bandwidth required to deliver this year’s event surpassed the 2014 edition only ten days into the tournament, and peak online traffic nearly quadrupled (24 Tbps vs. 7 Tbps in 2014) as millions of viewers tuned in on laptops, mobile devices and connected TVs. To scale to the colossal growth in online audiences and safeguard against outages during this high-profile event, several major national and international broadcasters turned to hybrid delivery solutions based on mesh networks that could fortify their infrastructure against saturation and ensure continued premium quality throughout the entire tournament. Streamroot, the leading provider of distributed OTT delivery solutions, partnered with premier rights-holding broadcasters to deliver the World Cup via its distributed CDN, Streamroot DNA™. These platforms included TF1, the largest French free-to-air broadcaster & leading European media group, as well as other national European channels, and national television networks in Chile and Colombia in partnership with the leading streaming company in LATAM, Mediastream. In total, Streamroot ensured reliable, 100% uptime delivery for the entire tournament, offering customers the reliability needed during this historic event. Streamroot powered the World Cup for over 19.7 million viewers, with traffic delivered via its distributed network peaking at over 1.26 Tbps. 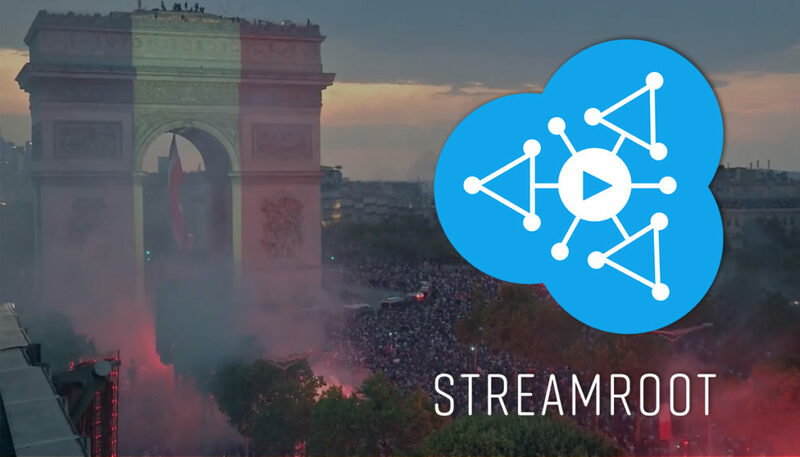 Streamroot delivered an average of 70% of partner broadcasters’ total World Cup traffic, translating to drastically lower pressure on CDN servers and more consistent, high quality video for football fans. Rebuffering rates on platforms using Streamroot fell 11% in Europe, and up to 33% in Latin America. Many of the games broadcasted in these two regions occurred during work hours, which saw large spikes in traffic from workstation desktops and mobile traffic. Streamroot will be showcasing its solution at the IBC Show, September 13-18, at booth 14.C12, and will present further data and statistics from its World Cup delivery at the IBC Content Everywhere Hub on Saturday, September 15 at 12 PM.